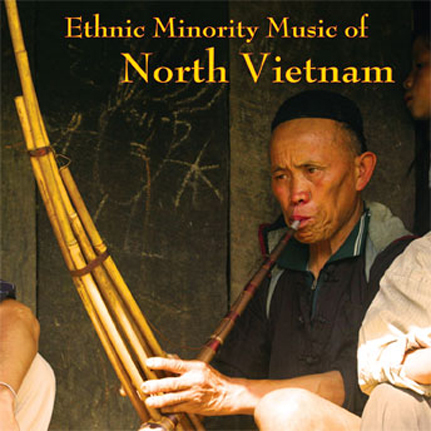 This third volume in a series compiled by Laurent Jeanneau from his continual journeys into the more remote tribal areas of Southeast Asia features field recordings of the Giay, Lu, Red Zao, and Black Hmong peoples from North Vietnam. The five selections presented here by the Red Zao are of an unusual vocal style called “Baozoo”. The Baozoo singing technique can either be a responsive song, or canon singing where a lead singer has his or her words repeated with delay by 1, 2 or 3 singers. We’ve never heard anything quite like it before. The instruments used in other selections include Kheng (Bamboo mouth organ), jew’s harp, bamboo sticks with coins, and the Piem Zat (a reed instrument or oboe affiliated with Baozoo singing). Recorded in and around Sapa, this CD includes an extended track list with added information about each track recorded along with insightful liner notes by Laurent Jeanneau.